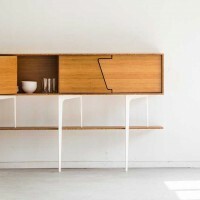 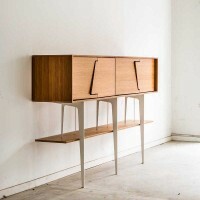 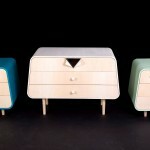 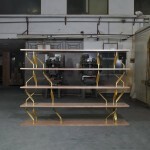 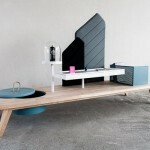 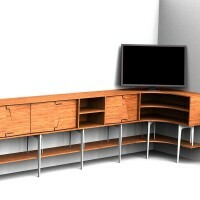 Jo-a have designed a contemporary sideboard named Neus. 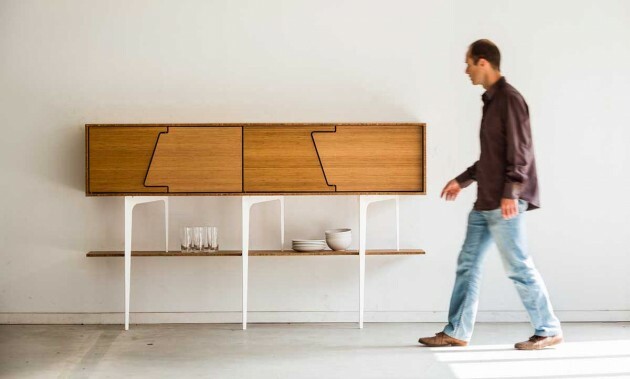 The Neus sideboard is eye-catching, surprising and invites you to take a closer look. 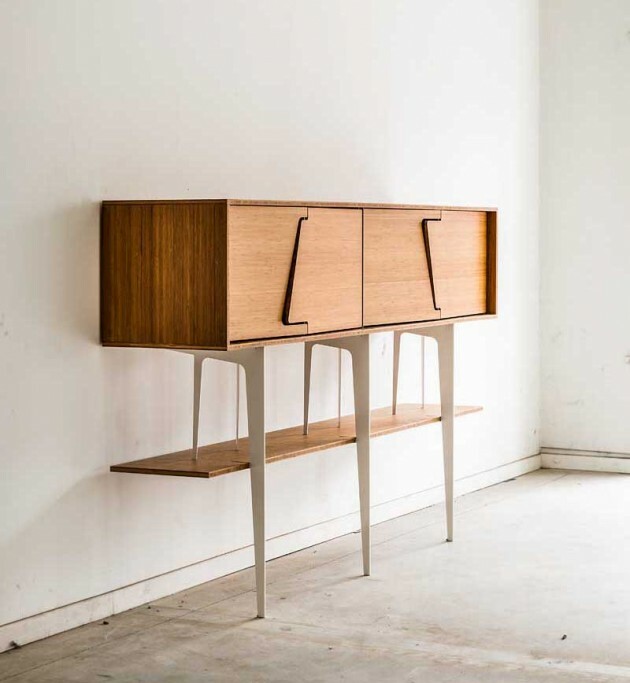 At first glance, its slender lines, its generous size and its long asymmetric legs will attract your attention. 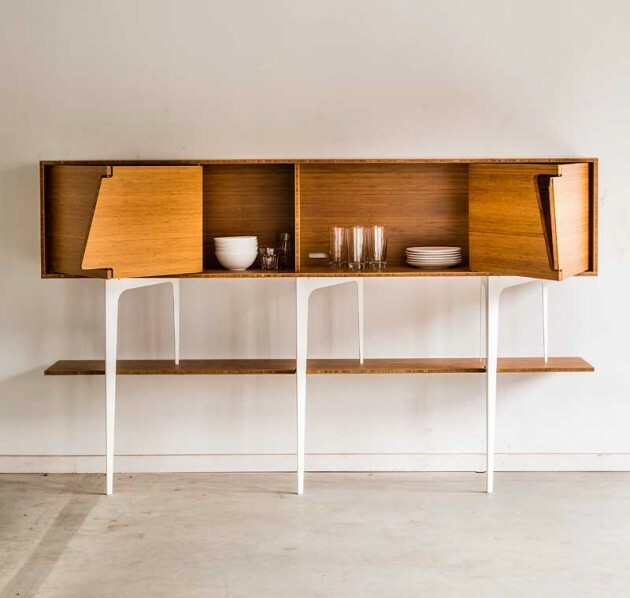 Now let your hand glide over the warm wood of the cabinet to test the opening of the articulated shutters that slot together like a jigsaw.